On the first day of a two-day trip to consult with Mexican and Central American leaders Monday, US Vice President Joe Biden was quick to pooh-pooh any talk about drug legalization. The topic has become an increasingly hot one in the region, as Mexico's drug wars bleed over into its neighbors to the south, and some regional leaders are now calling for discussion of legalization. "It's worth discussing, but there is no possibility the Obama/Biden administration will change its policy on legalization," he said after meeting with Mexican President Felipe Calderon. "It's worth debating in order to lay to rest some of the myths that are associated with the notion of legalization. The debate always occurs, understandably, in the context of serious violence that occurs with the society, particularly in societies that don't have the institutional framework and the structure to deal with organized, illicit operations," he said in remarks reported by the Associated Press and McClatchy Newspapers. Biden, who said he had spent "thousands of hours" at Senate hearings on the issue, said that while drug legalization could do positive things like reducing prison populations, it would lead to more drug use, health problems, and even more bureaucracies. "It impacts on a country's productivity. It impacts on the health costs of that country. 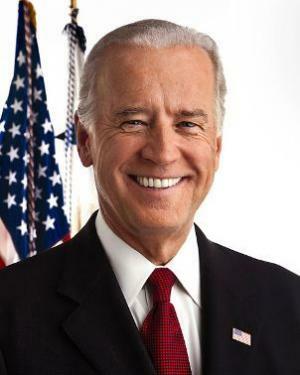 It impacts on mortality rates," Biden said. He added that legalization wouldn't work "unless you are going to not only legalize but you are going to provide a government apparatus for the distribution of the drugs." Biden's primary purpose for his visit to Mexico City was to meet with the leading contenders in the country's July 1 presidential election, but that has been overshadowed by the legalization debate heating up in the region. Colombian President Juan Manuel Santos last fall called for an international discussion of drug legalization, but said he would be crucified if he led it. Last month, Guatemalan President Otto Perez Molina, a right-leaning former military officer, called for regional discussions on the issue, and picked up support from Costa Rican President Laura Chinchilla last week, but not Honduran President Porfirio Lobo or Panamanian leader Richardo Martinelli. Salvadoran President Mauricio Funes first signaled support, but then wavered, while Nicaraguan President Daniel Ortega has yet to announce a position. All the Central American leaders will meet with Biden Tuesday. Santos will host the Summit of the Americas April 14-15 in Cartagena, Colombia. He has said drug policies should be debated then. Perez Molina also wants the discussion to get underway there. President Obama is expected to be in attendance. Big backhanders going to South America. Lack of knowledge. That just about describes every American Politician.They don't realize that their,and I mean their,War on drugs is what causes the problems of lost productivity (people incarcerated and not being able to get a job because of a criminal record),and high mortality rates due to the violence created by prohibition. Joe Biden is just another politician who can't see past the money that the lobbies provide him.The number of dead Mexicans means nothing to him.The number of peoples lives ruined all over the World because of America's drug war,means nothing to him. Joe's breaking out the American check book right now. WHY, I would inquire, is anybody surprised and shocked at anything the former Senator and now Vice President JOE BIDEN did or does? After President REAGAN "POCKET-VETOED" the Comprehensive Crime Control Act of 1983, JOE BIDEN and his Merry Band of Criminals in both the House and Senate, committed TREASON to the Constitution's mandates for making law by single-handedly inserting the Major Legislation of the DRUG CZAR (the primary reason for Reagan's veto, at page -47- of the Administration of Ronald Reagan, 1983/January 14) and the bail reform act into the House Bill for Continuing Appropriations for 1984 without approval by both Houses of Congress! Senator CHILES of FLORIDA bragged on the floor of the Senate; "For the first time ever, Federal courts can deny [reasonable] bail to a defendant on the basis [assuption and presumption] that release would pose a threat to the community". (CONGRESSIONAL RECORD--SENATE page S13162 October 3, 1984) Let's face the inevitable friends, "WE, the people" aren't going anyplace until "WE" get Our flag back and throw these criminals out of both parties!! If anyone thinks that Our troops will not fire on Citizens of the United States, remember the Civil War and KENT STATE!! THERE!! I've said it and I'm glad ! You said, "He added that legalization wouldn't work 'unless you are going to not only legalize but you are going to provide a government apparatus for the distribution of the drugs.'" So, Biden admitted legalization could work by implementing a distribution system similar to what many states have in place for alcohol. It's not at all clear to me why the government would have to be directly in charge of distribution -- it seems to me that private, regulated businesses could do it as well and probably at a lower cost. Some day soon, Joe Biden, and the rest of his fellow prohibitionists, will all stand trial for crimes against humanity. They are not just profiteers, haters, liars, and murderers; the utter destructiveness of their life’s work, proves beyond doubt that these monsters are the very incarnation of lucifer himself. At the very least, all these people deserve to spend the rest of their lives in the same corporate cages that they now hold shares in. Prohibition has triggered the worst crime wave in history, escalating gang warfare even beyond what was experienced in the dark-days of alcohol bootlegging. * It has created a black market with massive incentives to hook both adults and children alike. * It has put previously unknown and contaminated drugs on our streets. * It has made these substances widely available even in schools and prisons. * It has created a prison-for-profit synergy with drug lords. * It has helped remove many important civil liberties from the very citizens it falsely claims to represent. * It has grossly inflated the number of people on welfare who can't find employment due to their felony status. * It has grossly escalated Murder, Kidnapping, Extortion, Theft, Muggings and Burglaries. * It has diverted scarce law-enforcement resources away from protecting citizens from the ever escalating violence against their person or property. * It has overcrowded the courts and prisons, thus making it increasingly impossible to curtail the people who are hurting and terrorizing others. * It has evolved local gangs into transnational enterprises with intricate power structures that reach into every corner of society, helping them control vast swaths of territory while gifting them with significant social and military resources. Imagine if we were to chop down every single tree on the planet as a response to our failure to prevent tree-climbing accidents. That's what our misguided drug policy looks like. Isn't it time we all stood up and told the government, that we're tired of being beaten and jailed so that pharmaceutical companies can poison and kill us for obscene profits? This is why Biden is making these odd noises; he hears His Master's Voice telling him not to upset the highly profitable apple cart. And to Hell with all the dead locals that the US drug prohibition creates. Biden has approved more slaughter...and the CA and SA leaders know it. He added that legalization wouldn't work "unless you are going to not only legalize but you are going to provide a government apparatus for the distribution of the drugs." So this Biden thinks that an uncontrolled, illegal market run by criminals is better than having a highly regulated, government oversight system? What is this guy sniffing? It is obvious that the US is against legalization because it would undermine years of prohibition systems and companies. You never see these leaders call for tighter regulation on prescription drugs, tobacco or alcohol. This Biden is a joke, along with the rest of this administration. I hope the Mexican and the Central American leaders reject Biden's call for continued prohibition. These countries should just say no to the USA and do what is best for their people based on science and common sense. 'Just say no' to this Biden character -- Mexico, Central and South America! If Only The King Knew . . .
No mistakes are being made. The people driving this ugly attack are not stupid. This is about huge money and huge power. The "War On Drugs" is an implementation of hatred and power. Attempting to discuss it with the perpetrators in a rational or reasonable or moral or . . . manner, is to waste time and breath. Joe Biden is one of the people that helped craft the current Drug laws, of course he doesnt want to see his pet project dismantled. BUT truth is self evident, the people south of the border are no fools, & they can see with their own eyes whats really going on. America isnt as influential as it used to be & one day those south american countries will do whats in their own best interest & legalize. What decreases worker productivity is moving their jobs out of the country and facilitating a collapse of our economy that eliminates jobs all together. This desperation pushes people to do desperate things, some become entrepreneurs who just don't have a business license the government can track. It doesn't matter who is in control of the government if you don't like what they are doing, just don't give them your money. Give your money to organizations that do the work you'd rather support than a black hole of miscommunication. It is impossible to justify the hypocrisy, cynicism and callousness shown by Joe Biden— and a couple of days ago, by Janet Napolitano, too. Despite all the evidence to the contrary, they keep arguing that the War on Drugs is a success. And to top it off, keep repeating the same mantra again and again: the only way to solve the so-called drug problem is doing more, not less, of the same. But we shouldn’t deceive ourselves, such levels of blatant and self-serving manipulation permeates the US government from top to bottom, starting with the US congress and president Obama. It involves every branch of the US government and every official in the US administration—from State Secretary Hilary Clinton to Drug Czar Kerlikowske , from DEA supremo Leonheart to William Brownfield, US assistant secretary of state for international narcotics and law enforcement affairs.. There is no excuse and no place to hide. Even the most naïve and gullible person can see how hypocritical and cynical the US drug policies are: instead of dealing with the fact that the US is by far the biggest drug consumer in the world and should fight its fight in its own soil, the US puts the onus on Mexico, and other Latin American countries. Its message is loud and clear: as long as the atrocious price to be paid for US policies remains in foreign soil, the American society as a whole is happy to keep supporting Prohibition and the War on Drugs. As the old saying goes: hear nothing, see nothing, say nothing! By the way, the same goes for all major drug consuming countries that continue showing total contempt for what is happening in drug producing countries by supporting Prohibition and the War on Drugs on the one hand, while pursuing at the same time policies aimed at “quasi legalising” not only the demand but the supply itself, too. As it happens, a number of countries such as the Czech Republic, Denmark, Germany, Holland, Italy, Portugal, Spain, Switzerland, among many others, have in a way “quasi legalised” the demand for drugs. They have de jure or de facto depenalised or decriminalised the personal consumption of some drugs. In the case of marijuana, some countries have also “quasi legalised” the supply too by allowing users to grow a number of marijuana plants in their homes and for their own consumption, by tolerating the operation of so called “cannabis social clubs”, or by authorising the cultivation of marijuana to supply dispensaries where consumption on medical grounds is allowed. If this is not hypocrisy, cynicism and callousness of the highest order, I do not know what is! I have always wondered as an American why we always view ourselves as having a free society why we cannot make this very simple logical decision. Not only could the legalization end this war in Mexico, enable employment within our impoverished communities, reduce violence in our country, reduce court costs, reduce prison costs; it also is the very example of what has provided us with success in all other areas: Freedom. I am a conservative. I wholeheartedly believe that our free market and small government is what enables us to remain innovative and therefore competitive. When our government intervenes, we lose freedom....period. I really don't understand how we can continue not to make this very simple connection. I also don't understand why more conservatives don't share my viewpoint. Legalization means LESS government involvement, which translates directly into smaller government. As far as the negative statements against "big pharma", the reason that their products are so expensive is because of heavy government regulation to begin with. Government should not be expected to make any meaningful changes in your life. The federal government in particular should only be charged with providing national defense and overall consolidation of state governments and just enough taxation to support the aforementioned responsibilities. I keep telling my friends that it is only a matter of time before "our generation" takes the political helm and finally legalize and regulate marijuana, but after the constant barrage from these chickenshit politicians (democrat and republican alike), I am starting to doubt my own words. Maybe one day we'll finally have freedom in the US, but right now I doubt it. Supposing I were able to prove to your complete satisfaction DICKEYMOE, that the executive and judicial branch of the government of the United States operate their 'private' "WAR on DRUGS" under color of FRAUD . . . pray tell, what would you do about it! Inquiring minds want to know!! For more on this topic I recommend Free to Choose by Milton and Rose Friedman. He wrote it in 1980 and it is basically turned into a prophesy on the current state of our nation, including, but not limited to the war on drugs. Are we to believe that Biden and Obama, two intelligent and college educated individuals do not understand the ramifications of the war on drugs. They both know exactly what happens under "prohibition". The war in Vietnam was about heroin. Vietnam, Laos and Cambodia, the golden triangle (of opium) was the leading exporter of heroin and with a war going on, few noticed the export of heroin. The abundance of drugs on the street told the real story. Drugs are not the by product of war; they are the reason for it. Heroin production in Afghanistan has increased almost 100% and soldiers are told to ignore it. They are protecting it. That is why Biden and any other politician cannot give you a sensible reason to continue the war on drugs; there is none. I watched the You Tube question that was presented to Obama on legalizing drugs. I wanted to slap that smile off his face as he muttered the same useless answer that drugs will not be legalized on "his watch". When I think of how serious that question is and how many people have died, been incarcerated, lost parents, lost children, suffered over and over again, year after year of prohibition and he has the nerve to "smile", I wonder if it is a nervous quip or does he really believe that the people are still fooled by the old "reasoning" that "drugs are bad for you". By now it should be very clear that the powers that be are not worried about what is "bad" for us. As the streets are filling up with Afghanistan heroin all over the world, here in the U.S., the government is cracking down on persons prescribed legal opiates. Perfect timing for the next set of junkies. The policies of a few men working in synergy to create the black market and keep it that way. This has been the perfect crime but the black veil is almost worn away. Good thinking Jean, but here's the real reason! America's "WAR on DRUGS" is being conducted World-Wide under Our Treason-Treaties with other Criminal Leaders around the World! Here's the facts, "WE" have "Special Agents" from the DEA in every United States Embassy "WE" have around the World. These Special Agents operate covertly to accomplish il-legally what the CIA can't accomplish legally! Tap phones of radical leaders,ship helicopters, ammo, automatic weapons, ground to air missiles, and other covert-operations in Third and Fourth World countries behind the mask of America's "WAR on DRUGS" and get paid in cash handsomely by the US State Department, Pentagon, and CIA! That does not mean that the DEA agent on the streets of America has any idea what's going on! The "little-people" from the DEA and the judges from the federal judicial system "think" they are conducting a "WAR on DRUGS" that the government wants them to do, all the while the real reason for the federal drug "WAR" is to exercise and employ covert operations around the World! Our government doen't give a tinker's-damn whether "WE, the people" commit suicide with a rope, gun, jumpoff a bridge, or main-line bad heroin, Our government has bigger ideas that exactly HOW you treat yourself! Let me tell you fellow Patriots, General(s) Patton, Montgomery, Eisenhower, and Bradley would have made short-work of "OUR" war in the Middle East about a week if that long, and it would be over! Wake-up Patriots, I know your out there!! For the constitutional-informed, no explanation is necessary, for the constitutional-uninformed, it seems no explanation is possible! I want him to understand that his life's work is being repudiated. Go have another drink, Lord Joe, and keep pretending alcohol isn't a drug.